God, as you gave us the sun to lighten our days, so you have given us your Word to lighten our minds and our souls. 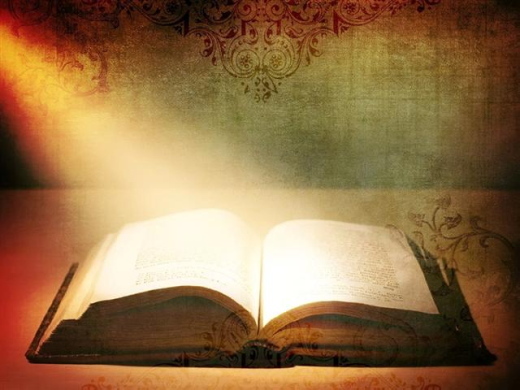 I pray that you will pour out on me your Spirit as I pray today, that my heart and mind may be opened to your Word, and that I may learn and accept your will for my life. Shine within my heart, loving God, the pure light of your divine knowledge; open the eyes of my mind and the ears of my heart to receive your Word, this day and always, Amen. God is light; in him there in no darkness at all. If we claim to have fellowship with him, yet walk in the darkness, we lie and son not live by the truth. But if we walk in the light, as he is in the light, we have fellowship with one another, and the blood of Jesus, his Son, purifies us from sin. If we claim to be without sin, we deceive ourselves and the truth is not in us. Most holy and merciful Father, We confess to you and to one another, that we have sinned against you by what we have done, and by what we have left undone. We have not loved you with our whole heart and mind and strength. We have not fully loved our neighbors as ourselves. We have not always had in us the mind of Christ. You alone know how often we have grieved you by wasting your gifts, by wandering from your ways. Forgive us, we pray you, most merciful Father; And free us from our sin. Renew in us the grace and strength of your Holy Spirit, for the sake of Jesus Christ your Son our Savior. Amen. O LORD, you know; remember me and visit me, and bring down retribution for me on my persecutors. In your forbearance do not take me away; know that on your account I suffer insult. Your words were found, and I ate them, and your words became to me a joy and the delight of my heart; for I am called by your name, O LORD, God of hosts. I did not sit in the company of merrymakers, nor did I rejoice; under the weight of your hand I sat alone, for you had filled me with indignation. Why is my pain unceasing, my wound incurable, refusing to be healed? Truly, you are to me like a deceitful brook, like waters that fail. Therefore thus says the LORD: If you turn back, I will take you back, and you shall stand before me. If you utter what is precious, and not what is worthless, you shall serve as my mouth. It is they who will turn to you, not you who will turn to them. 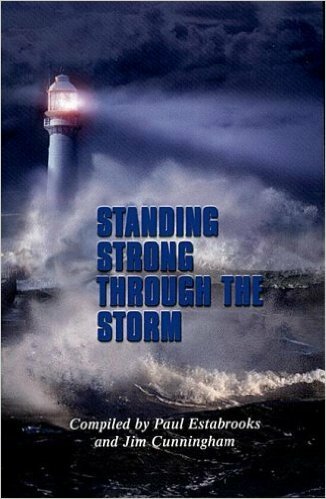 And I will make you to this people a fortified wall of bronze; they will fight against you, but they shall not prevail over you, for I am with you to save you and deliver you, says the LORD. I will deliver you out of the hand of the wicked, and redeem you from the grasp of the ruthless. [Marks of the True Christian] Let love be genuine; hate what is evil, hold fast to what is good; love one another with mutual affection; outdo one another in showing honor. Do not lag in zeal, be ardent in spirit, serve the Lord. Rejoice in hope, be patient in suffering, persevere in prayer. Contribute to the needs of the saints; extend hospitality to strangers. Bless those who persecute you; bless and do not curse them. Rejoice with those who rejoice, weep with those who weep. Live in harmony with one another; do not be haughty, but associate with the lowly; do not claim to be wiser than you are. Do not repay anyone evil for evil, but take thought for what is noble in the sight of all. If it is possible, so far as it depends on you, live peaceably with all. Beloved, never avenge yourselves, but leave room for the wrath of God; for it is written, "Vengeance is mine, I will repay, says the Lord." No, "if your enemies are hungry, feed them; if they are thirsty, give them something to drink; for by doing this you will heap burning coals on their heads." Do not be overcome by evil, but overcome evil with good. [Jesus Foretells His Death and Resurrection] From that time on, Jesus began to show his disciples that he must go to Jerusalem and undergo great suffering at the hands of the elders and chief priests and scribes, and be killed, and on the third day be raised. And Peter took him aside and began to rebuke him, saying, "God forbid it, Lord! This must never happen to you." But he turned and said to Peter, "Get behind me, Satan! You are a stumbling block to me; for you are setting your mind not on divine things but on human things." 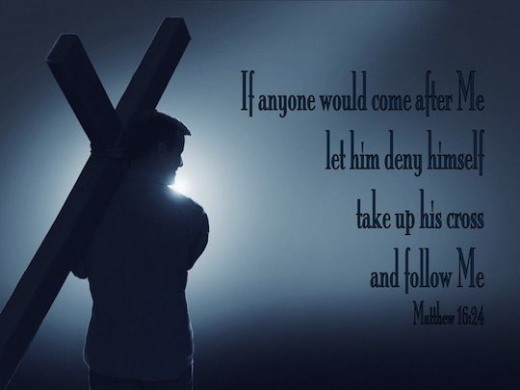 [The Cross and Self-Denial] Then Jesus told his disciples, "If any want to become my followers, let them deny themselves and take up their cross and follow me. For those who want to save their life will lose it, and those who lose their life for my sake will find it. For what will it profit them if they gain the whole world but forfeit their life? Or what will they give in return for their life? "For the Son of Man is to come with his angels in the glory of his Father, and then he will repay everyone for what has been done. Truly I tell you, there are some standing here who will not taste death before they see the Son of Man coming in his kingdom." [Moses at the Burning Bush] Moses was keeping the flock of his father-in-law Jethro, the priest of Midian; he led his flock beyond the wilderness, and came to Horeb, the mountain of God. There the angel of the LORD appeared to him in a flame of fire out of a bush; he looked, and the bush was blazing, yet it was not consumed. Then Moses said, "I must turn aside and look at this great sight, and see why the bush is not burned up." When the LORD saw that he had turned aside to see, God called to him out of the bush, "Moses, Moses!" And he said, "Here I am." Then he said, "Come no closer! Remove the sandals from your feet, for the place on which you are standing is holy ground." He said further, "I am the God of your father, the God of Abraham, the God of Isaac, and the God of Jacob." And Moses hid his face, for he was afraid to look at God. Then the LORD said, "I have observed the misery of my people who are in Egypt; I have heard their cry on account of their taskmasters. Indeed, I know their sufferings, and I have come down to deliver them from the Egyptians, and to bring them up out of that land to a good and broad land, a land flowing with milk and honey, to the country of the Canaanites, the Hittites, the Amorites, the Perizzites, the Hivites, and the Jebusites. The cry of the Israelites has now come to me; I have also seen how the Egyptians oppress them. So come, I will send you to Pharaoh to bring my people, the Israelites, out of Egypt." [The Divine Name Revealed] But Moses said to God, "Who am I that I should go to Pharaoh, and bring the Israelites out of Egypt?" He said, "I will be with you; and this shall be the sign for you that it is I who sent you: when you have brought the people out of Egypt, you shall worship God on this mountain." But Moses said to God, "If I come to the Israelites and say to them, 'The God of your ancestors has sent me to you,' and they ask me, 'What is his name?' what shall I say to them?" God said to Moses, "I AM WHO I AM." He said further, "Thus you shall say to the Israelites, 'I AM has sent me to you.'" God also said to Moses, "Thus you shall say to the Israelites, 'The LORD, the God of your ancestors, the God of Abraham, the God of Isaac, and the God of Jacob, has sent me to you': This is my name forever, and this my title for all generations. I pray to you, Master, be our helper and defender. Rescue those of our number in distress; raise up the fallen; assist the needy; heal the sick; turn back those of your people who stray; feed the hungry; release our captives; revive the weak; encourage those who lose heart. Let all the nations realize that you are the only God, that Jesus Christ is your Child, and that we are your people and the sheep of your pasture. Amen. us to the Hastings College Chapel. God our Father, and our Lord Jesus Christ, and Spirit of God amidst us, direct our way unto you. Make us to increase and abound in love one toward another, and toward all men, even as we do toward you; to the end we may establish our hearts unblameable in holiness before you, even our Father, at the coming of our Lord Jesus Christ with all his saints. Amen. Jesus talks about an attitude towards life – a state of heart - you will find with each one who has received the message of His Salvation. He speaks about those who will follow Him – and that can only be those who has received Him in truth – because the specific will can only be affected by the Gospel. We are not reading about the salvation itself here, for what it is concerned, the speech about deeds are totally out of the question. The Word is as clear as anyone could wish for when it comes to that! - But God's Word also speaks about the difference in the reward for the believer. And it speaks about that the believer will continue building on the foundation of Christ, with different kinds of material - someone with noble, others with nothing noble, but even those who build with the kind of material that got burned up in the test, will be saved – though trough fire (1 Cor. 3:11-14). We human beings became in reality our own gods through the fall! We became self worshippers. It was then we fell for the temptation: “You will become like God,” and therefore naturally live by it. We want to be the biggest, the greatest, most praised and honored etc. If we have to admit to our littleness, it will brake our self-image, our self-esteem etc. This is where it has its reason. We want to according to our nature, live by ourselves, we want to protect and defend ourselves and our own, make sure that we get all of our needs met and other people will only be tools to achieve this. How can they benefit me? – is the refrain. Jesus points to a whole different way. We mentioned that this in itself was not about our salvation, but this thing about living for you, can have that consequence though, that we actually let go of the salvation. Our own will swallow up everything at the end. We see an example in the Word by Demas for example, he who was one of Paul’s close companions - Paul brings a sad report about him: “- for Demas, having loved this present world, has deserted me and gone to Thessalonica.” (2Tim. 4:10). Paul points at the same as what Jesus points to – that love for this world – which has its reason in our inborn nature and cannot live side by side with the life in God, with any good results. No, you must deny yourself, Jesus says, - something that is almost gone in the preaching these days, and we have therefore more and more a Christian people who wants to have everything of what this world has to offer, with heaven in sight. But what the Word speaks about is that the heavenly life starts here and now. You can take part in it now! This is exactly what Jesus sacrifice has given us access to. But not as all of those who preach in the so called glory theology. That only opens up for the natural humans desires – to achieve a paradise here on earth. No, it speaks of owning a life in God, here and now and to grow in it. “Therefore, brethren, since we have confidence to enter the holy place by the blood of Jesus,” (Heb. 10:19), and “(for the Law made nothing perfect), and on the other hand there is a bringing in of a better hope, through which we draw near to God.” (Heb. 7:19). This is to follow Jesus! Believing in Him, and by that drawing near to God! That is to grow in the grace and knowledge of our Lord and Savior Jesus Christ (2 Pet. 3:18), and this hardly brings you to a paradise existence, concerning the earthly things, in this world, but rather to adversity and suffering of different kinds. But this growth in - and approach to - God, cannot happen unless you at the same time deny your own. That is why we have Jesus’ word – must. “He must deny himself” (v.24). But you cannot live a life like that and live to achieve your own “dreams” at the same time. You have to choose here. When it is about being placed before the call, we have those invited it speaks of for example in the parable about the kings sons wedding (Mat. 22:1-14), who all chose God's salvation away, for the benefit of what they had in this world. And nothing they preferred before God's things were sinful things, let us make note of that! It was people who never had been on the inside and never came there, of this reason. The closer a human being gets to God, the more will God's purpose for his life be fulfilled. You shall not as many preach about, seek about God's purpose for your life, as seeking to come closer to Him, by Jesus Christ work of reconciliation. This preaching about “God has a plan with your life” will much more wear people out, than to give them desire for Kingdom of God, and leads to a more or less longing after the “riches in Egypt”, which means the things in this world. 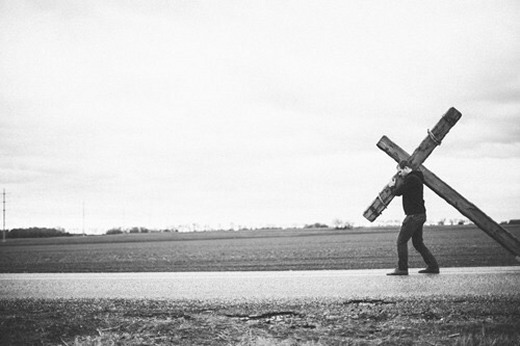 To stay close to Jesus and to learn more and more about Him, will make the sacrifice you take easier to carry. We read in v.24 to “lose your life”, that can be a totally definite way of letting your life go for the sake of the name of Jesus. The history has shown us that, and it happens still today, and will happen even more to the end of this age, it sure looks like it. But this shall first and foremost be understood in the context with this message, to deny oneself, his own, in other words let go of your own. When we hear this, we start to count on it, - can I stand the costs? Jesus will help us and puts this “calculation” up for us: “For what will it profit a man if he gains the whole world and forfeits his soul?” (v.26a). What kind of answer will you choose? And then He adds: “Or what will a man give in exchange for his soul?” (v.26b). If you won, and owned the whole world, you still would not have ransom for your own soul, it would get lost! What then would be won? In contrast to this, God's Word says that the ransom for your soul is: Jesus blood! Here is your choice, also today, my friend! If you choose your soul – then you choose Jesus! Not as a “Sunday Christian”, for whom Jesus almost is a pillar of a picture in church, that you visit once a week, but as a living Savior you breathe and live in. Your Friend, your Savior, your God, your Ransom, your Reconciler, your Brother, your Father, your Life, yes, your everything! “For the Son of Man is going to come in the glory of His Father with His angels,” (v.27a), and “judgment must begin,” not with the rebellious world, but “the household of God” (1 Pet. 4:17). And listen you who will get your wage according to your doing - because according to the Word of Jesus you shall - it is not spoken of how much or how big, but about this: Did you stay close to Him? In what way did He and His deeds mean to you? So much that you were willing to let go of something of your own? Let that be the question today, every day! The Holy Bible, English Standard Version. ESV® Permanent Text Edition® (2016). Copyright © 2001 by Crossway Bibles, a publishing ministry of Good News Publishers. Sermon shared by Einar Kristoffersen on Sep 9, 2008. Isaiah 48:17 (NIV) This is what the Lord says— your Redeemer, the Holy One of Israel: “I am the Lord your God, who teaches you what is best for you, who directs you in the way you should go. 11 Jesus continued: “There was a man who had two sons. 12 The younger one said to his father, ‘Father, give me my share of the estate.’ So he divided his property between them. 13 “Not long after that, the younger son got together all he had, set off for a distant country and there squandered his wealth in wild living. 14 After he had spent everything, there was a severe famine in that whole country, and he began to be in need. 15 So he went and hired himself out to a citizen of that country, who sent him to his fields to feed pigs. 16 He longed to fill his stomach with the pods that the pigs were eating, but no one gave him anything. 17 “When he came to his senses, he said, ‘How many of my father’s hired servants have food to spare, and here I am starving to death! 18 I will set out and go back to my father and say to him: Father, I have sinned against heaven and against you. 19 I am no longer worthy to be called your son; make me like one of your hired servants.’ 20 So he got up and went to his father. “But while he was still a long way off, his father saw him and was filled with compassion for him; he ran to his son, threw his arms around him and kissed him. 21 “The son said to him, ‘Father, I have sinned against heaven and against you. I am no longer worthy to be called your son.’ 22 “But the father said to his servants, ‘Quick! Bring the best robe and put it on him. Put a ring on his finger and sandals on his feet. 23 Bring the fattened calf and kill it. Let’s have a feast and celebrate. 24 For this son of mine was dead and is alive again; he was lost and is found.’ So they began to celebrate. 25 “Meanwhile, the older son was in the field. When he came near the house, he heard music and dancing. 26 So he called one of the servants and asked him what was going on. 27 ‘Your brother has come,’ he replied, ‘and your father has killed the fattened calf because he has him back safe and sound.’ 28 “The older brother became angry and refused to go in. So his father went out and pleaded with him. 29 But he answered his father, ‘Look! All these years I’ve been slaving for you and never disobeyed your orders. Yet you never gave me even a young goat so I could celebrate with my friends. 30 But when this son of yours who has squandered your property with prostitutes comes home, you kill the fattened calf for him!’ 31 “‘My son,’ the father said, ‘you are always with me, and everything I have is yours. For a son to ask for his inheritance before the death of his father was a severe cultural offense, equivalent to wishing for the father’s death. The lost son ended up in the worst of circumstances from a Jewish point of view: a place where even unclean pigs were faring better than he was. The father’s extravagant mercy turned out to be as far-reaching as the son’s offenses. The story turns near the end, when the older brother refused to join the party, revealing that he was as lost as his younger brother. This parable probably was meant to illustrate the self-righteous attitudes of observant religious people who felt entitled to the kingdom because they “never disobeyed” (Luke 15:29). Jesus left the parable unresolved, forcing his listeners to see themselves in the story. What did this parable teach you about mercy? Es don de Dios que todo hombre coma y beba, y goce el bien de toda su labor. Muchas cosas en la vida son vanidad y nos hacen perder la orientación. Por ejemplo, el anhelo desmedido por las riquezas. La Biblia nos enseña que el amor al dinero también es vanidad. Por eso, el verdadero convertido es el que deja a un lado el interés por las cosas materiales y se concentra en Dios que es el Dador de todo en este mundo. Una cosa es ser próspero y otra cosa es que tu vida la pongas a valer por lo que tienes… Cuanto tienes, cuanto vales. El Manual de Instrucciones nos recuerda que no podemos creer que siempre seremos jóvenes, pues la juventud pasa de igual manera. Como salimos desnudos del vientre de nuestra madre, así volveremos sin nada. Pidámosle a Dios que seamos capaces de mantener un equilibrio en la vida, que disfrutemos de sus bendiciones y que, de lo mucho o lo poco que tengamos, podamos darles a los demás. It’s so easy to get fed up with church. For years I got very little out of church. The sermons were boring. The music was embarrassing. The fellowship was non-existent. The whole experience of worshipping with other people felt stale and pointless…Going to church in my country was an endurance test. Until I visited a persecuted church! But afterwards I met the old man, and when I heard his story I repented of my attitude. He was a preacher, ordained in the late 1950’s in China. He pastored a church for only six months before it was closed down. He was jailed, spending twenty years in prison. After he got out, he was very ill for a long time, but finally, at age 77, had the strength to speak again. I had witnessed his first sermon in 31 years! No wonder he broke down. I tried to imagine what it must have been like, holding the Word of God inside for 31 years, not knowing whether you would ever again preach. Then suddenly being allowed to do so. How do you preach a sermon after a silence of 31 years? No wonder he was overcome. He said, “I never thought I would get the privilege of speaking the Word to a gathered group of Christians with their Bibles open ever again. Through the long years of prison I thought that experience would never return. And when it came, as you saw, all I could do was choke out the verse that kept me going: Sing his praises in the assembly of the faithful (Ps149:1b). I returned home with a transformed attitude. I began to walk to church with my Bible, praising Him for the opportunity. I went to the church early, walking the aisles and praying, thanking God for the building and the freedom to hold our service. When the preacher spoke, I thanked God that he had no fear. When the Bible was read, I thanked God for the men who took grave risks in the past to print and distribute this word in my language. When we sang a hymn, I sang out loudly, thanking God that I did not have to whisper in hushed tones. Truly, what a privilege is corporate worship. The persecuted church rescued me from bitterness, and taught me to count my blessings I had taken for granted. RESPONSE: Today I will thank God for the privilege and freedom of corporate worship in my church. PRAYER: Thank You Lord for the freedom and blessing of praising You in my faith community. 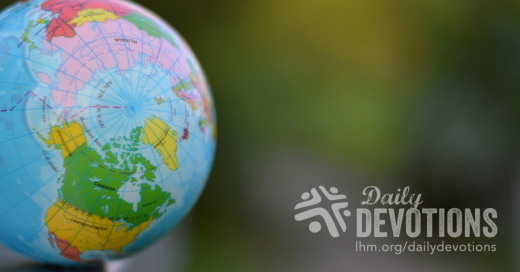 LHM Daily Devotion - September 3, 2017 "With God I Can Do Many Things"
"With God I Can Do Many Things"
As ambassadors of the kingdom of God on this earth, God always tells us to do works of servanthood wherever we are placed. That is the point Paul eloquently made in Ephesians 2:10: "For we are His workmanship, created in Christ Jesus for good works, which God prepared beforehand, that we should walk in them." Often we feel inadequate to that task and desire to give up. In so doing, we forget that when the Lord commands, He has already equipped us with everything to accomplish His purpose. Indeed, God's people have the Holy Spirit who empowers them to the tasks they have been given. At LHM-Indonesia we have seen many blessed and powerful examples of the power of the Lord to transform and strengthen hearts. 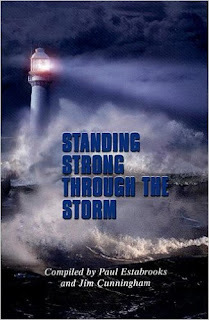 We have seen the Lord's frightened people became courageous ambassadors of the kingdom of God. I remember a woman by the name of Tien. She is a wife and mother of two children. She and her husband have a clothing business in Banjarmasin, South Borneo. Until 2016 they served in their church as mentors of youth. It was their passion to see young people grow in faith and have a closer relationship with God. Faithfully, they fought against the decline of morality in our nation's youth. Even as she worked with the youth, Tien realized she had a deep passion to reach out to help people know Jesus. Her great problem was this: she doubted she was capable of reaching out to Muslims. There was a reason for her hesitation. Tien knew she was different. Being of Chinese descent, she was in a minority. Moreover, she had different skin color, flat eyes, and a different rhythm in the way she spoke to people. Her husband was even more worried about such things than she was. Tien became connected to LHM-Indonesia when she heard about our Equipping the Saints (ETS) program. She became very excited when she heard that we were going to conduct a seminar on "How Ordinary Christian Church Members Can Reach Out to Muslims." She told herself she must go and attend the two-day seminar. During the training, the team asked the participants to practice what they would say when they reached out to people. Tien did as she was asked. She started by visiting the hospital, rehab, and other places. Soon Tien had established a nice line of communication with her charges, the majority of whom were Muslim. It was so amazing and awesome for her! It felt like a burden had been lifted. No longer was she controlled by fear and worries alone. With her call to the Lord, she rejoiced at the seminar which had opened her eyes and taught her to really trust in the Savior whose life had been given to forgive, transform, and save the world. Today the Holy Spirit has given Tien confidence in her witness to the Redeemer. In spite of her imperfections, she knows the Lord can work through her and help her point to the Savior who wants to call people out of darkness into the light of salvation. THE PRAYER: Our Father in Heaven, make us stay motivated in serving You, even though we may not see the results or the impact of our work. Help us remember we are workers that You sent forth to serve. Make us servants who are pleasing to You. 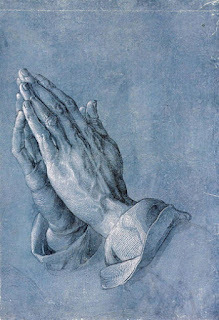 I pray that I will do Your will with all my heart, so the lost may see their Redeemer. Thank You, Father, in the Name of Thy only begotten Son, the Lord Jesus Christ. Amen. Biography of Author: Today's international devotion was written by Imelda Aritonang who has served as director of LHM-Indonesia since December 2011. In this position, she oversees the programs, administration, and staff of the ministry; establishes relationships with church and government leaders; and promotes the ministry throughout the country. She is an active member of Huria Kristen Batak Protestant (HKBP-Lutheran) and lives in northern Jakarta with her husband Gerhard Siahaan and their three children. Lutheran Hour Ministries-Indonesia reopened in 2011 and uses radio and television broadcasting, mobile-device messaging, print and puppet resources, along with evangelism training to share the Gospel throughout Indonesia. In cooperation with local Lutheran churches, the ministry also reaches out to people to share the Gospel, especially to Muslims. Indonesia is an archipelago in Southeast Asia made up of more than 13,400 islands; it is home to 250 million people. The ministry center of LHM-Indonesia, known locally as Anchor of Life, is located in Jakarta. Using staff and trained volunteers in making connections to Indonesian communities, it works with Sunday school teacher training, holds local sporting events, and offers topical school programs -- all as a means to move the Gospel forward. Bible Correspondence Courses (BCC) and ETS workshops educate Indonesians on the Scriptures and train them to share the Good News of God's grace and love, as found in Jesus Christ, with their family and friends.